I've been so ill this weekend it's mad! I swear I very rarely get ill, but for some reason this cold has actually completely knocked me out. I've hardly been able to leave the house and when I do I'm so tired by the time I get home. Gutted I've not been able to enjoy the sun as much as I would've like to! Illness aside though, I still managd to get a little bit of filming done on Saturday. I had planned a Summer outfit inspired blog post and also a "What's in my handbag" vid but I just couldn't manage it. There's always next weekend though! 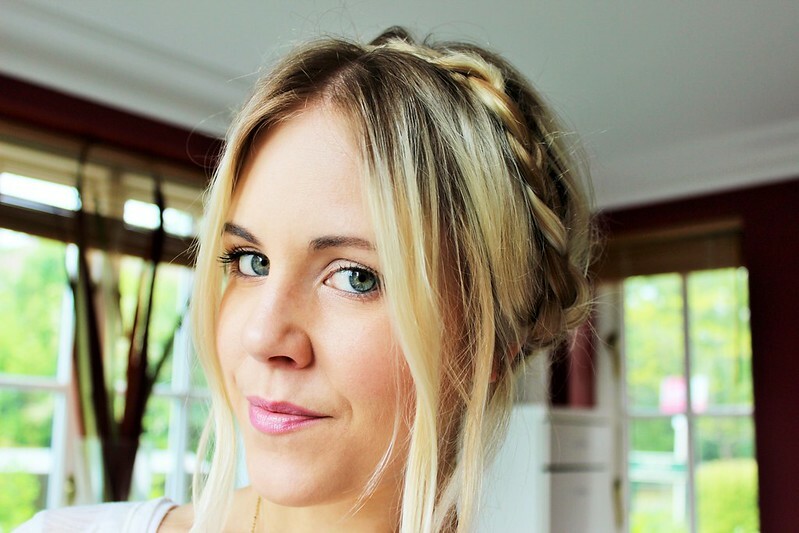 So here it is... My video tutorial for how to Milkmaid braid your hair! 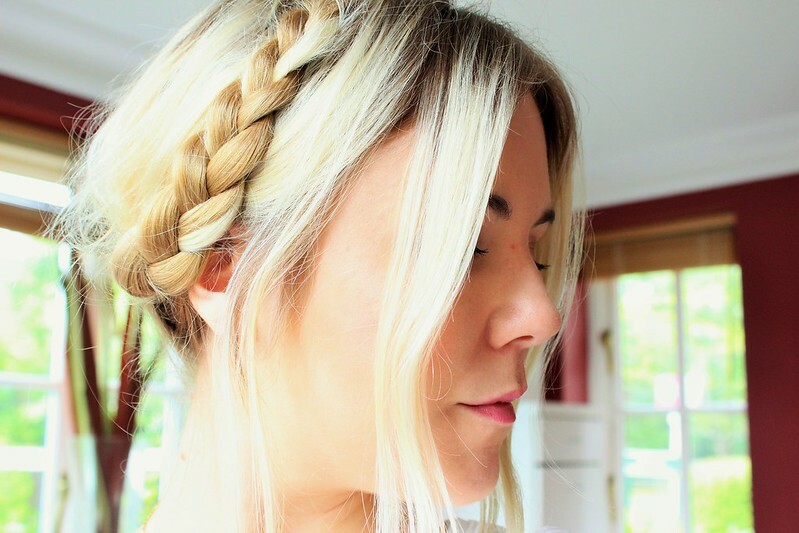 I'd definitely recommend trying this look on 1-2 day old hair and I would also recommend getting your hands on some Baptiste XXL Volume dry shampoo to apply to your roots too; it'll make the style so much easier to create. 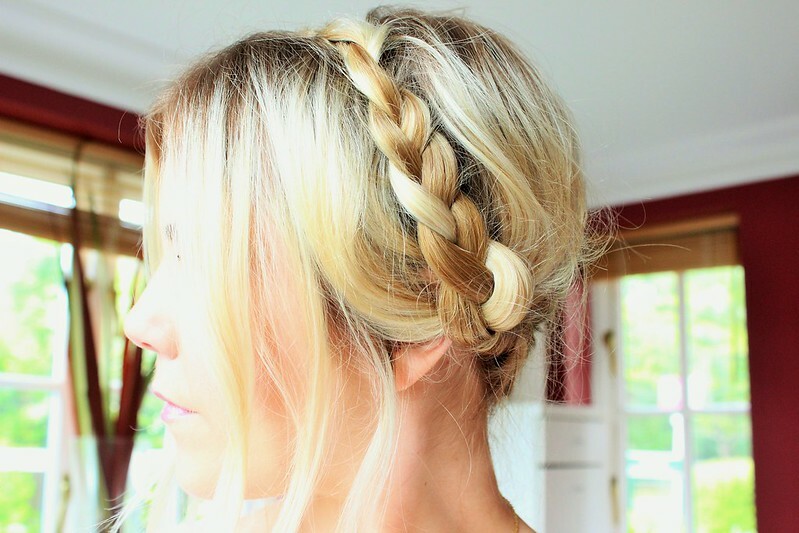 It still works perfectly on washed hair don't get me wrong... You just get a slightly less volumised look. I really hope you've all made the most of the amazing weather we've had this weekend! I'd love to see some pics of you guys having fun in the sun, so please make sure you Tweet me some @Dizzy_Miss_Liz . That really would make my day and it would totally help make this cold go away!